GTA GARDEN TIPS – As we head into August, gardening season is truly in full swing – it’s that special time of year in Ontario when flowers and trees are fully in bloom and the grass is looking its best. For homeowners, that great yard is an awesome way to increase curb appeal, and truly proud gardeners will want to show it off by day and by night with bright, welcoming landscape lights set up around the property. With recent advances in light-emitting diode (LED) lighting making the technology cheaper and more aesthetically pleasing than ever, there’s never been a better time to look into replacing your incandescent or fluorescent landscape lights with LED fixtures. Don’t have any landscape lighting? It’s a smart and cost-effective investment that can help give you an edge over other property sellers! If you have already had landscape lighting set up around the yard, you need to consider a few things before running out and grabbing new lights to replace your existing ones. For example, have you added new trees, fountains, ponds or any other focal points since your landscape lights were originally installed? If so, you might want to consider rewiring your setup so that these special features are strategically lit. Fundamental wiring skills and circuit/wire-route planning. Working with ground fault circuit interrupters (GFCIs), which are required by safety codes when setting up landscape lighting. Calculating wattage and electrical loads. Digging trenches and running conduits. If that doesn’t sound like your skill set, it’s best to call in certified electricians and installers to help with the job – otherwise you could hurt yourself in the process, or end up with an unsafe outdoor lighting circuit. Luckily, there are plenty of landscape lighting specialists in the GTA who will be happy to provide you with a quote for installation and setup services. Many can also make recommendations to help with your fixture purchases! By utilizing less energy, LED lights cut down on your energy bill while enjoying a much longer lifespan than traditional bulbs. To help give homeowners an idea of exactly how much they might save, Philips offers a handy LED lamp savings calculator for free use on their website. According to LED manufacturer Volt, LED bulbs generally use “less than 50 per cent of the wattage consumed by fluorescent bulbs and less than 25 per cent of the wattage consumed by incandescent bulbs, while still emitting the same amount of light” – talk about a huge improvement in energy savings! Improvements to LED lighting haven’t just allowed these lights to be more efficient – they have also provided buyers with more freedom in choosing the amount of “warmth” they’d like their lights to convey. Many LED lights can actually be adjusted, for not only warmth but also colour – making for an “on trend, hip and totally killer” addition to your next outdoor party. When making your choices, ask if the lights you’re considering have this functionality. Be prepared to invest in good quality fixtures, which can run up to USD $400 for a single one, depending on where you shop. A wide range of materials are available for outdoor fixtures, like aluminum, brass, and copper. 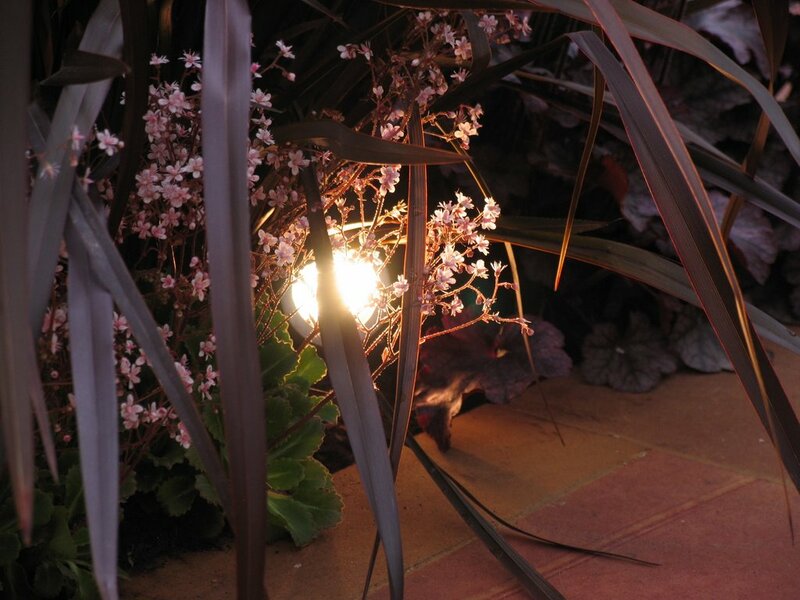 LED systems can tend to cost 15 to 20 per cent more than a traditional one would – so take that into consideration when you’re budgeting for your landscape lighting project. If you are properly prepared for the project, you can do all kinds of things with landscape lighting to emphasize exterior features like your pool, porch or front garden. They can also add a special touch to outdoor seating areas like verandas or patios. This kind of project can add a lot of value to a home property if it’s done properly, so it’s always a good idea to bring in a professional landscape or lighting designer in addition to the electrical professionals who’ll be doing your install. Remember – this is an investment that will shine for years to come and may even help you get a better price for your home when you decide to sell. Led produce less heat so we can arrange them at gardens, Lawns, Parks etc. It has long life span, ones fixed little maintenance is required when compared to incandescent light. LED outdoor lighting have so many advantages as other articles mentioned but disadvantage-cost more mentioned only in this article sincerely. It is really worthy reading. It is real great job thank you and I think readers need more such sincere author and truly useful article. Thanks for the wonderful blog. Because of so many advantages led’s are considered to be the best source for lighting and I am agree with this but these days a new source of light that is induction lights is becoming very popular due to some other advantages like cheap cost, Eco friendliness and low maintenance cost. I like the post swear! I wanted to thank you for this outstanding read !! I most absolutely liked all it. I have bookmarked your site to go to the new points you publish.